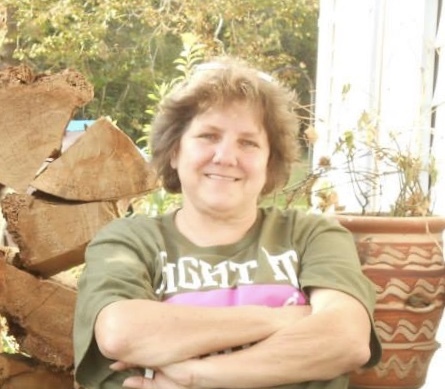 Cheryl Kay Buckler, 59, of Firebrick, Kentucky passed away April 29, 2018 in University of Kentucky Hospital in Lexington, Kentucky. She was born Jan. 25, 1959 in Portsmouth, Ohio, a daughter of the late Henry Eldridge and Elaine Carpenter Eldridge. Cheryl was a retired Engineer from Norfolk Southern Railroad and attended the Firebrick Christian Baptist Church. Surviving are her former husband, Timothy Gregory of Winchester, Kentucky, two sons, Scott (Johnda) Buckler of Firebrick, Kentucky and Michael (Danielle Marion) Buckler of Sanford, North Carolina, three brothers, Kenneth Eldridge of Quincy, Kentucky, Henry Eldridge of LaGrange, Kentucky, Charlie Eldridge of Cincinnati, Ohio, one sister, Peggy Zornes of Winchester, Kentucky, three grandchildren, Trinity Buckler, Tristan Rice and Ronin Buckler. Funeral services will be held 2 P.M. on Sunday, May 6, 2018 at the Roberson Funeral Home in South Shore, Kentucky with Rev. Raymond Lewis, officiating. Burial will follow in Firebrick, Cemetery, Firebrick, Kentucky. Friends may call from 6 till 9 P.M. On Saturday, May 5, 2018 and one hour before service time on Sunday.